The Russian government will allow 3-month visa-free travel for athletes, coaches, referees and foreign delegations taking part in the 2014 Winter Olympic Games. The athletes, coaches, referees and foreign delegations taking part in the 2014 Winter Olympic Games in Sochi will need only their accreditation cards to enter Russia, the Russian Foreign Ministry's Ambassador at Large Valery Kuzmin said. "As far as I remember from the materials of the Organizing Committee's briefing, it will be the validity period of the Olympics accreditation cards, which will be valid from January 7 to April 16, 2014," he said at a press conference in Moscow on Thursday. All visa-related issues are being handled by the Olympic Games Organizing Committee, the diplomat said. However, a decision on possible visa-free travel for sports fans for the duration of the Sochi Olympics has not been made yet, he added. Kuzmin welcomed Georgia's plans to send its delegation to the Olympic Games in Sochi. "As far as I know, the Georgian Olympic Committee has agreed to send its delegation to the Games. In my opinion, it is a convincing decision. On the whole, we welcome the Georgian side's decision to send its athletes to the Olympics," the Russian diplomat said. 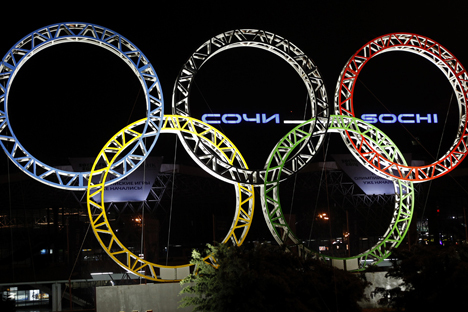 The exact number of countries that will participate in the Sochi Olympic Games is not known yet, Kuzmin said. Russia has taken advantage of the experience of the Olympic Games in Vancouver and London, he said. "The International Olympic Committee developed quite a complicated system to classify and respond to different emergency situations. There are hundreds of them," Kuzmin said. Serious restrictions will be imposed on movement of private vehicles in Sochi during the Olympic Games, he said. Russian President Vladimir Putin has signed on May 13 a decree allowing foreign athletes taking part in international sports competitions to enter Russia without visas. According to the decree, which has been posted on the Kremlin website, participants in international competitions are allowed to enter Russia on identification and accreditation documents issued by the organizers of international sports competitions, unless otherwise provided by the federal legislation. The form of accreditation documents produced when entering and leaving Russia is established by the organizers of competitions and is approved by the Federal Security Service, the decree says. The article is based on materials by Interfax.